It’s that time again, Bostonians — you’ve slowly been letting junk pile up on your property without realizing it, but today’s the day you finally noticed that it’s out of control. Maybe you took a real look inside that storage room and saw that there’s no place left to store anything, or perhaps you poked your head into the garage and discovered that you don’t even have room to park there anymore. 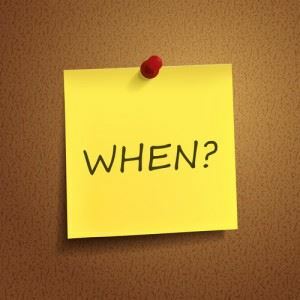 Whatever the reasons for your clutter may be, you’ll be glad to know that there is a solution. Simply find a company that can offer you dumpster container rental in Boston. Many people don’t understand that self-service dumpster container rental in Boston is one of the simplest ways to deal with unwanted items. People tend to balk at the idea of filling up a container themselves — but all it takes is one honest look at the alternatives to realize that filling your own container makes your work easier than it would be with most other options. In the following article, we’ll show you why dumpster rental can be the ideal solution for many homeowners with junk on their hands, as well as cover some helpful tips for choosing a dumpster rental company so that you can make the most of this option if you choose it. Why Choose Dumpster Container Rental in Boston? The first thing people think when they hear about dumpster container rental is usually: “Why would I pay someone else for the privilege of throwing away my own junk?” However, dumpster rental isn’t for the items you would normally put in your curbside trash or recycling bins. Remember: The City of Boston only accepts certain items for standard garbage pickup. Homeowners, commercial contractors, and DIY enthusiasts may find that some of their items are unsuitable for disposal through such means. Of course, some of the items listed above cannot be placed in rental dumpsters either — generally when it’s a safety concern or an item that could damage the container itself. However, many dumpster rental companies will provide containers fit for building debris, construction materials, old furniture, and other items that are difficult or illegal to throw in the trash. “Now wait just a moment,” you might be thinking. “I still don’t understand why I need to rent a dumpster for these items. Can’t I simply take them to the dump myself, or hire a crew to do it?” Technically, you’re correct: you could do these things if you wanted. The question is: why would you? Taking unwanted items to the landfill in your vehicle sounds like the easiest thing in the world, until you actually do it. First, you must load the items into your vehicle. If you have a truck, you can probably tie them up and secure them in the bed — but if you drive a car or a van, you’d better make sure you don’t accidentally damage the interior upholstery with any sharp edges or protrusions. When you’re done wrestling the material into your vehicle, you’ll have to drive it all the way to the nearest landfill — and hopefully, whatever you’re chauffeuring around town doesn’t smell too bad. Once you arrive at the dump, your worries aren’t over. Many dumps in the Boston area charge fees for dropping off waste, and you’ll be responsible for wrestling the items back out of your vehicle and into the pit as well. Essentially, you’re still paying to throw away your junk — you’re just doing more work and paying for gas, too. Does that still sound easy to you? “Okay,” you’re thinking, “no landfill for me. I’ll call in a cleaning crew to deal with the mess.” If you’ve got the budget to pay a team of professionals, that’s an excellent idea. 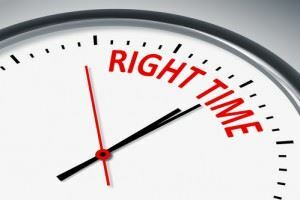 You’ll also need to make sure you can take time off work or away from your social life to stay at home on the day they’re supposed to arrive, so that you can let them onto your property and make sure they don’t miss anything — but as long as that isn’t an issue for you, hiring a cleanup crew should be no problem. Dumpster rental offers an easy alternative to any of the strategies listed above if you do it correctly. Below, our staff has put together a list of tips you can use to make sure your dumpster rental goes off without a hitch. Order the right size of container. Dumpsters can come in many sizes, but you probably don’t need anything larger than a 12-cubic-yard debris box unless you’re doing serious commercial or industrial work. Containers that are too large present difficulties for renters, as they are more cumbersome and can be less accessible during the rental period. A small debris box doesn’t take up much space, and practically anyone can easily fill it without the need for ladders or other tools. Place the container in a suitable location. Dumpsters cannot be placed on streets, sidewalks, or other public “right of way” areas unless you have a specific permit obtained from the city. When placing a dumpster on your own property, make sure to avoid areas with grass, gardens, and other sensitive spots that could be damaged by the weight of the container. The driveway is normally the best spot — just make sure your container is small enough that it doesn’t block the driveway during the rental period. Check with the dumpster company to make sure they can take the materials you have. Some dumpster rental companies are more flexible than others, and many differ regarding how they process the contents of your container once they’ve come to collect it. For best results, call the company you’re considering ahead of time and make sure the items you need to throw away are suitable for disposal in their containers. It’s also helpful to ask whether or not the rental company has a policy of sorting items for eco-friendly processing so that you can minimize their impact on the environment. Choose a company with an appropriate pricing model. Different rental companies may have vastly different approaches to setting rates for their rentals. Are you going to be paying for the type of container itself, the duration of the rental period, or the amount of space you use? Many people prefer the last option since it gives them a way to reduce the final price by packing their rental container efficiently. Following the steps listed above can ensure that your dumpster container rental in Boston serves your needs adequately and allows you to pack up unwanted items on your schedule. To receive more information on dumpster rental, call us and speak with someone in our organization who can tell you more about how to choose the most useful waste disposal option for you. This entry was posted in Dumpster Container Rental, dumpster rental, dumpster rental boston, junk removal boston and tagged junk haulers, Junk King, Junk King Eco-Friendly, Junk King Removal on August 9, 2018 by Julian Torres, "JT". Last updated December 10, 2018 . Not only do our first-rate Boston junk removal experts clean your space up, they do it in an efficient and affordable manner. We pride ourselves on being fast, affordable and eco-friendly. What more could you ask for? Say you’ve got an old refrigerator in the garage. You got it out there but as the years have gone by, it’s become an eyesore and has started to rust. Don’t let the old refrigerator or any other appliance become a problem. If you can text a picture to us, and you’ve got an Internet connection, you can get a free quote that will help you to clear that space out. If you take just a few minutes to have a look at all the different appliances and articles we remove, you’ll see why we’re considered an industry leader. •	Air conditioners. If you read the news , you’ll have no doubt that you’ll need a new air conditioner sooner than later. If you text us a photo of the one that you want to have picked up, we can expedite the whole process along. •	Lawnmowers. Some people put their old lawnmowers out on the curb, but having it picked up and recycled is the much more eco-friendly way to go. Keep in mind that we recycle 60% of what we pick up so you’ll be lessening your carbon footprint by giving us a call. Like a lot of great ideas, Junk King was started by two friends who saw a need to fill in 2005. They decided that they wanted to start a junk removal service that was better than the competition and recycle more.That was the beginning of the first-rate Boston junk removal service we’ve become today. One of the other benefits that separates us from the competition when it comes to a full removal junk service is our free upfront estimates. Transparency has always been one of the cornerstones of our thriving business. Our business model is geared towards your convenience. Here’s another great example of what we mean. You only pay for the dumpster space that you use when you rent one from us. Watch the video and then get in touch with our Boston junk removal services today. The snow is melting, the days are getting longer, and the temperatures are rising. These signs can only mean one thing: spring is just around the corner. The arrival of a new season also means that it’s almost time for spring cleaning. Before you groan and roll your eyes, remember that spring cleaning has a slew of different benefits. Cleaning the house can eliminate allergens and make for a healthy living environment. It can declutter your life and free up space in your home, expanding your potential living space. It can even provide a fun way to sift through mementos and memories with your spouse or family members. The first step? Finding a dumpster rental in Boston. Spring cleaning doesn’t necessarily have to be about throwing a ton of stuff out. On the contrary, a minor spring cleaning year might consist of a deep clean, a pass through your closet to find items for donation, and a journey through your fridge or pantry to find expired stuff that needs tossing. However, if you are planning a more extensive spring cleanup, you are almost definitely going to want to rent a dumpster. Here’s the thing: it’s tough to appreciate exactly how much stuff you have until you are trying to get it all cleaned up and organized. Especially if you own your own home, you probably have things stowed in your basement, in the garage, or at the back of your closet that you haven’t thought about for years. It doesn’t take very long to fill up a standard weekly pickup trash bin. In other words, unless you want your spring cleanup to grind to a screeching halt an hour or two in, you are going to want extra trash capacity. Renting a dumpster can also give you the option to get rid of bigger items. 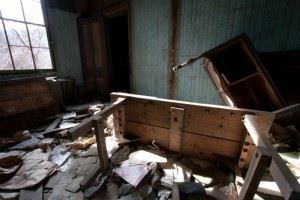 Perhaps you have an old couch from the 1980s sitting in your basement that you’ve finally decided to replace. Alternatively, maybe you have a huge cathode ray TV that’s been sitting in the storage room collecting dust for a decade. You can’t throw those items away in a standard garbage bin, and they’re tough to fit in a car to haul away to a donation place or recycling center. Renting a dumpster can give you a spot to put these more unwieldy items right outside your door. Okay, so you’re on board with the whole “renting a dumpster” thing. Now, the next question is where you can get your hands on a good, affordable dumpster rental in Boston. Boston is a major metropolitan area, so there are plenty of dumpster rental options available to you locally. These companies will offer dumpster rentals of varied sizes, for different periods of time. 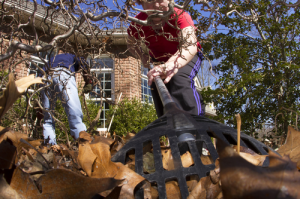 If you are planning to do your spring cleanup over the course of a weekend—which should be more than doable, in most cases—you probably don’t need more than a three-day rental. With that said, you can get a longer dumpster rental if you think you’ll need it. Choosing the right dumpster size can be a bigger dilemma, and tends to be the step where most spring cleaners go awry. Generally, people tend to overestimate how much junk they have. This error is partially the fault of the dumpster rental companies themselves, which typically offer five or six bin sizes between 10 and 40 cubic yards. The range of choices tends to confuse first-time renters, leading people to rent dumpsters that are way bigger than necessary for a standard spring cleaning operation. 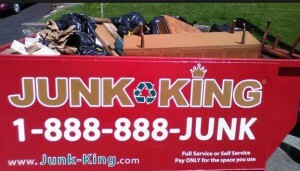 If you want the best dumpster option for a spring cleanup, you’d be hard-pressed to do better than Junk King. There are a few reasons that Junk King is ideal for spring cleaning, but the first might be simplicity. Choice is good, but when it comes to dumpster sizing, we’ve found that having half a dozen options just tends to confuse people. This point is especially true with homeowners who are handling their own spring cleaning work and maybe haven’t ever rented a dumpster before. Plain and simple, it’s not easy to visualize what a 20 or 30 cubic yard dumpster looks like until it’s sitting in your driveway. To make things easier for renters, we offer a single self-service dumpster rental size, called the MINI. The MINI is a 12-cubic yard dumpster, which is just about perfect for most DIY projects. It’s big enough to fit larger items like appliances or furniture, but not so big that it takes up the entire driveway. Most spring cleanups—even the bigger ones—won’t require more dumpster space than the MINI provides. 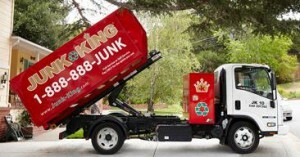 There are a few other factors that make the Junk King MINI the ultimate dumpster rental for spring cleaning. 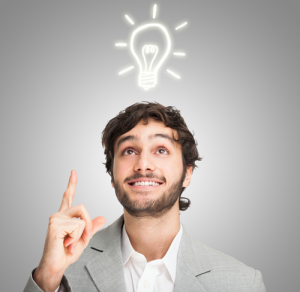 First off, we offer a unique tiered pricing structure that is ideal for DIY projects. With most dumpster rental companies, you pay for the dumpster you rent, regardless of whether you fill it or not. With us, you pay only for the space you use. If you fill the dumpster less than half of the way, that’s no big deal: you won’t pay as much as you would if you filled it. If you do use the entire dumpster, that’s great: you’ll pay the price you were quoted, with no hidden charges or fees. Either way, you won’t end up wasting money. The second facet of Junk King that makes are dumpster rentals attractive to spring cleaners is our commitment to offering a green service. Most of our customers would rather recycle than send all their junk to the landfill. Dumpster rentals are convenient, but they aren’t usually very eco-friendly. Most companies will haul your stuff to the nearest dump immediately after picking up your dumpster. At Junk King, we take everything instead to our processing center, where we painstakingly sort through everything in your dumpster. Some of it does end up going to the landfill. However, we also pull out furniture, appliances, electronics, toys, paper, metals, or other items that can be reused, repurposed, or recycled. All told, we recycle roughly 60% of the junk we haul, making us the greenest junk removal service in America. 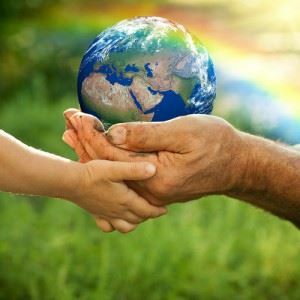 With us, you get the peace of mind of knowing that you are being sustainable without the inconvenience of having to sort, recycle, or donate everything on your own. Particularly if you are someone who struggles to get motivated for spring cleaning every year, the added convenience should be a major perk. Spring cleaning is a fantastic opportunity to declutter your life, eradicate dust and allergens from your house, and get excited about the impending better weather. If you are planning a spring cleanup in the Boston area and need a dumpster rental to make matters a little bit easier, look no further than Junk King. 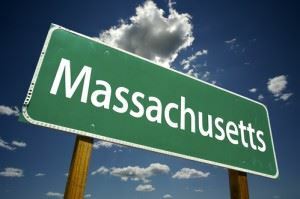 We are a national company, but we have a local presence and can provide your dumpster rental in Boston. To get the best possible deal on your rental, you should book online. By clicking here, scrolling down the page, and filling out the contact form, you can save $30 on your rental right off the bat. Of course, if you have any specific questions about our services or policies, you can feel free to call us directly at 1-888-888-JUNK. We look forward to helping you make this year’s spring cleaning feel less like a labor and more like a labor of love. This entry was posted in Uncategorized and tagged junk haulers, Junk King, Junk King Removal on January 4, 2018 by Julian Torres, "JT". Last updated January 7, 2018 .